Ants are certainly small yet they have the potential to cause a serious disruption to your living and working space. 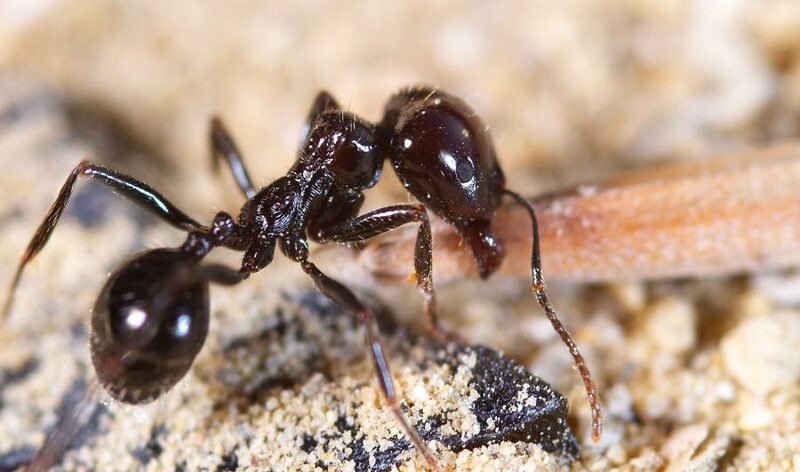 Ants will infest structures and cause irreversible damage if the problem isn’t tended to by ant control experts in a timely and thorough manner. If you spot any type of ant in your home, do not assume it is an aberration. A single ant in your home, office or other structure is an indication there are much more hidden in the wood and other spaces. Let ant control experts take care of the problem now so you don’t have to spend on expensive repairs down the line. The clock is ticking. You might not know extensive damage has occurred until it is too late as ant damage occurs from the inside out. Even if you do not notice ants or damage from ants, it still makes sense to have your properly treated in a preventative manner. Ants will eat everything from wood to food, plants and beyond. Some ants even bite people. The unfortunate truth is the greater Tampa area is rife with ants. So, don’t delay your call to our ant control Tampa team. We will protect your home or place of business from carpenter ant damage so you aren’t stuck with a massive structural repair bill weeks, months or years from now. If you have seen ants, ant damage or ants of any variety, the time to act is now. Even a suspicion of ants at your Tampa property should spur action. All it takes is one phone call to our pest control service to get the situation under control. Our ant control team will inspect your Tampa property to determine if ants are present, where they are living and whether a full infestation has occurred. If we determine ants are on-site, we will get right to work eliminating the infestation. Our ant control team has all the tools, equipment and knowledge necessary to remove the infestation for good. Carpenter ant infestation removal is performed with the application of liquid pesticides or tenting fumigation. A liquid pesticide is a more popular option as it doesn’t require anyone to leave the property. You can even leave your food and plants in place during the treatment. Our pest control experts will spread liquid pesticide across your Tampa property’s perimeter to keep the ants out. Tent fumigation closes off the property with a rubber tent. The site must be vacated for about a week’s time so the chemicals can work their way into the wood and kill those nasty carpenter ants.